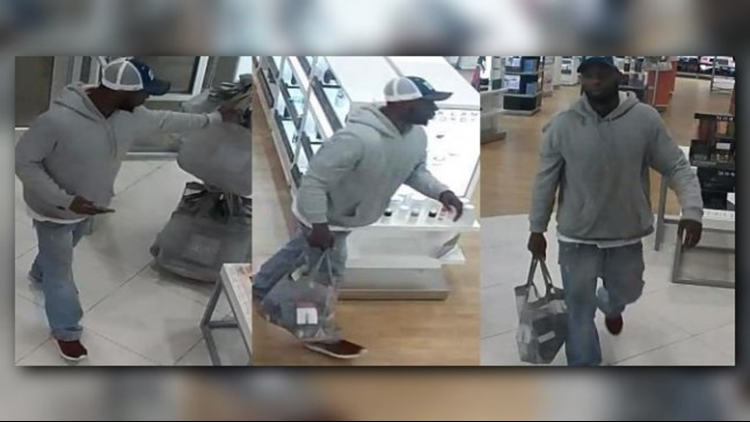 Police say that the theft happened at at Ulta Beauty in South Jacksonville Beach on Feb 15. They describe the man as 5'11 and 190 lbs. He's 25- 30 years old and has a beard. Police are asking anyone with any information on this to please contact Detective Currier at 904-247-6339. Email – scurrier@jaxbchfl.net or tipline@jaxbchfl.net.